Adirondack is a pet food brand that focuses on slow cooking to preserve the flavor in nutrients in all the food they serve. The company specializes in limited ingredient foods that minimize the likelihood of allergies in your pets and maximize the number of vitamins and minerals they get in each bite. They base all their food lines on research from leading pet nutritionists at Kansas State University, and they compare their food to slow cooking in your own home. When you cook food in a slow cooker, it’s easier to lock in all the flavor. Based on their tests, they can claim that even the pickiest of dogs will enjoy Adirondack dog food. In this article, we’re putting them to our test to see if their food lives up to the big claims. The story of Adirondack pet food started forty years ago with the Golladay family. They made their food in a feed mill in Rogers, Ohio. It wasn’t soon after that they outgrew that facility and had to move their processing to Lisbon Ohio. Every day from then Jim Golladay spent his time perfecting their formula and trying to find ways to increase the number of nutrients while preserving the flavor that dogs love. He realized that slow cooking the food creates a higher starch conversion which leads to increased stamina and energy in dogs. The food works like how eating carbs in the morning is recommended for humans because it helps gives you the energy you need to start the day and keep going as time wears on. The company is proud to say they are still operating as a family run business with Jim’s three children. What Types of Dog Food Does Adirondack Offer? Adirondack offers premium slow-cooked dog food that gives your pup delicious flavor, proper nutrition, and high digestibility. This food provides your dog the energy they need to keep going all day without requiring frequent feedings. All of Adirondacks foods use a single source of protein and glucosamine to support hips and joints. They also supply omega three fatty acids and flaxseed for healthy skin and coat. They round everything out with a unique blend of probiotics explicitly created for dogs to help with their immune system and gut health. Some of the foods we’re listing below are not available for purchase online, and they require you to locate a physical store location. The Adirondack website offers an easy to use store locator so you can find out where you can buy Adirondack dog food in your local area. We’ve included a note next to the foods that are available for purchase on Chewy.com. The percentages listed on the foods above refers to the amount of protein in the food. 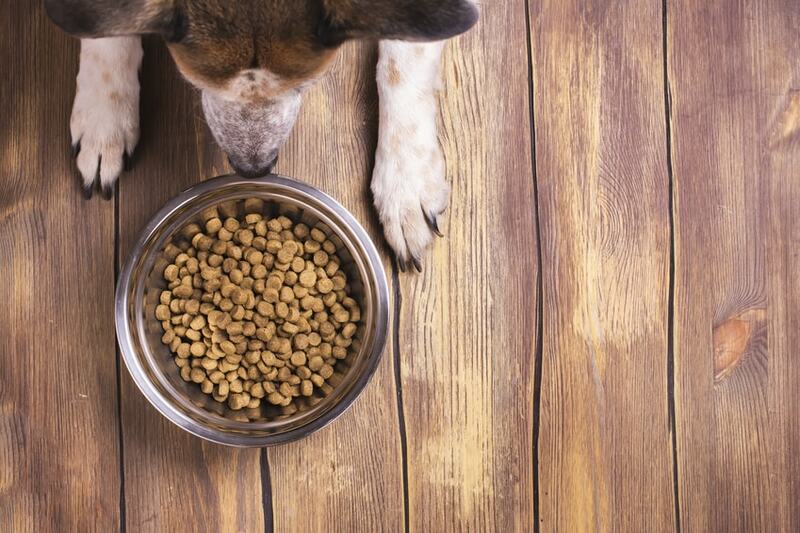 The higher the protein, the better the food is for an active dog. If your dog is not highly active, you should check with your veterinarian before switching them to a high-protein diet. Based on our research, there are no current or previous recalls from the Adirondack pet food company. In this section, we’re going to dive deep into two of the Adirondack dog foods brands to break down the ingredients and nutrients included in the individual lines of food. We’ll give you the completely honest scoop on everything you need to know about giving this to your pup. This food is formulated for high-performance dogs in all stages of life. They enhance it with essential vitamins, minerals, and probiotics to help with digestion, skin, and coat. The 21% blend gets made in the USA without any corn, wheat, soy, or artificial anything. Unfortunately, the food only has 11 reviews on Chewy, so it’s difficult to get a truly accurate representation of the quality, but we’ll take the current reviews for what they are. This food has a rating of 3.6 stars out of 5 with 64% of reviewers recommending the product to another person. Some of the most positive reviews say that the food is great for picky eaters and that their pup loves the taste. Many people seem to use this food more as a supplement for other foods to help them lose or gain weight. The initial negative reviews express concern over a funny smell coming from the bag and bad gas coming from their pup after eating this food for a while. This is not a bad list of five ingredients, but the food does contain grain. If you were hoping for a grain-free food, you would be disappointed by this. Overall, as you make your way down the list of ingredients, there is nothing that stands out, and there is not a lot of fillers. This nutrition breakdown is standard. The food is in the standard range in terms of protein and fiber, and it is low in fat. This food is intended for dogs of all stages of life. The all-natural and balanced food contains vitamins and essential minerals your pup needs for their digestion, skin, and coat. The main thing that separates this food from the previous one is the protein and fat content in the formula. This one is more intended for an active dog who requires a lot of energy throughout the day. Foods like these are useful for hunting or performing pups who may go long periods without eating again. If your dog is primarily an inside dog and doesn’t have a lot of activity, the high-fat content in this food may cause them to gain weight. We do not see anything wrong with the list of ingredients here, but we do want to mention that this food is also not grain-free. Overall, the food contains a list of healthy ingredients that provide optimal nutrition for your pup. As we mentioned previously, this food is intended as a high protein, high fat diet for dogs who are active and do not eat a lot of small meals throughout the day. The best way to determine whether a dog food is the right choice for you is to read reviews from real customers who have tried it. The last thing you want to do is waste your money on dog food that your pup won’t like. Many of the positive reviews of this brand say that the food helped regulate their pups weight and that they enjoyed the flavor. Some of the negative reviews are due to a weird smell coming from the bag when it opened, and that the food gave their dog bad gas. Below are some 100% honest reviews from actual customers who already purchased and tried Adirondack dog food. We recommend Adirondack to pet owners who are looking to change or supplement their dog’s health with something different. It appears that most people who use this food use it in addition to their regular regimen to help them lose or gain weight depending on what brand you choose. Adirondack does a great job of catering to your pup’s specific needs and desires, and they also provide a delicious and nutritious dog food along the way.